Enjoy an exclusive Yarra Valley wine tasting tour at three premium boutique wineries! Add more flavor in your tour by visiting the Yarra Valley Chocolaterie & Ice Creamery! Have hassle-free transfers from Melbourne and aid your tour with a comprehensive commentary! Sean was great! He is so engaging, interactive and gave us a very good background of Yarra Valley. Nice guy, genuine and really amazing energy! Highly recommended if you are looking for a easy, small group chill tour. Explore the vineyards, dairy farms, chocolattries and creameries of the picturesque Yarra Valley on a full day tour from Melbourne. Start the day early and head to your historic meet up spot — St. Paul's Cathedral. 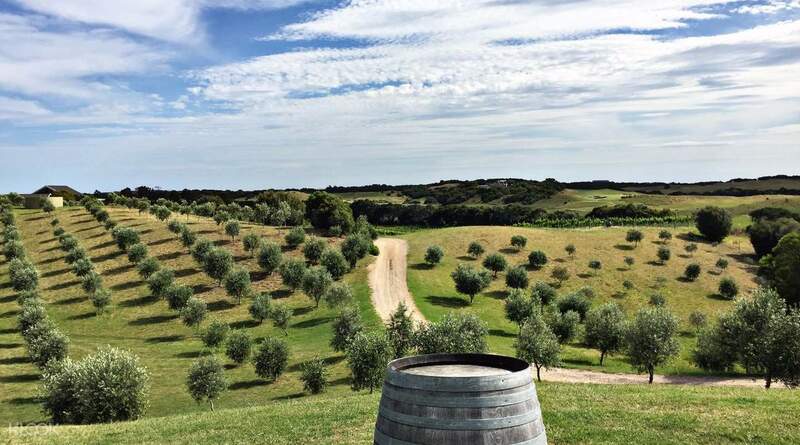 Leave Melbourne behind for a scenic ride to Helen & Joey Estate and St. Huberts Winery for some delightful wine tasting. 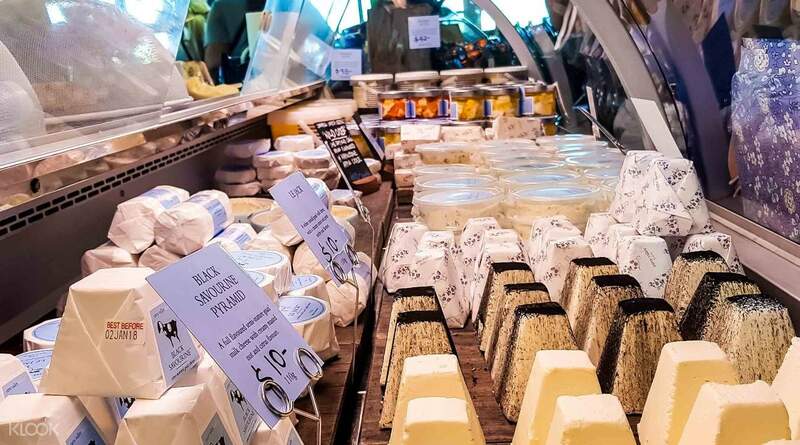 Go on to visit a local dairy factory and don’t leave without a taste of the local cheese. Take a break over lunch and move on to your third and final wine tasting for the day at Mandala Winery. 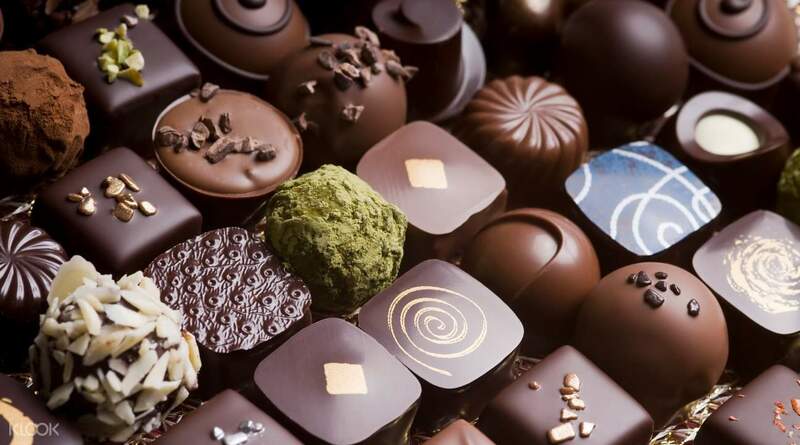 Conclude the trip on a sweet note with a visit to Yarra Valley Chocolaterie and Ice Creamery as well as one of local breweries. Everything was perfect on this trip! Our guide, Shaun, was incredibly friendly and informative. His outgoing personality is contagious. In addition, he did a great job putting this tour together. 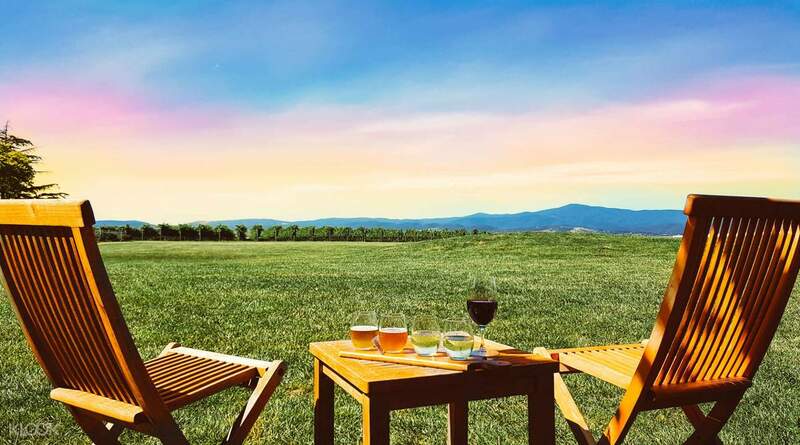 You get to do so many things in just one day: indulge wines from three wineries, sample Australia's finest cheese, enjoy a fine dining experience with a breathtaking view, drink pear and apple cider, and visit a chocolate factory (?). Maybe if you are lucky, you will see kangaroos hanging out in the vinyards. Look at my photos: I got the lamb and my friend got the fish and there were both unbelievably delish! The weather was so beautiful. I felt like I could touch the clouds. I seriously did not want to leave. Everything was perfect on this trip! Our guide, Shaun, was incredibly friendly and informative. His outgoing personality is contagious. In addition, he did a great job putting this tour together. 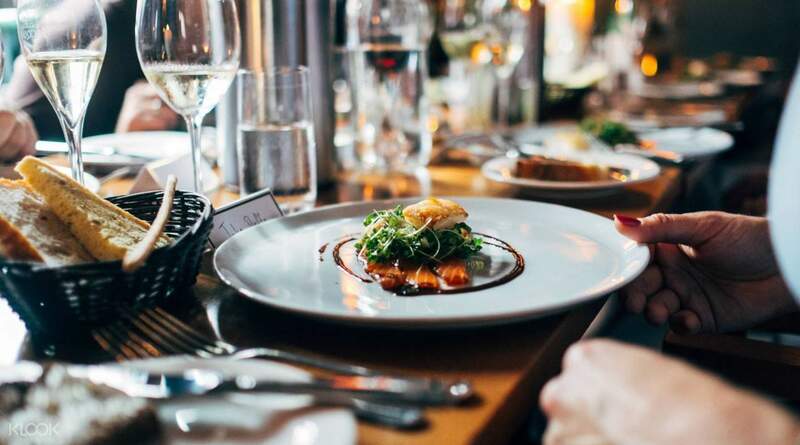 You get to do so many things in just one day: indulge wines from three wineries, sample Australia's finest cheese, enjoy a fine dining experience with a breathtaking view, drink pear and apple cider, and visit a chocolate factory (?). Maybe if you are lucky, you will see kangaroos hanging out in the vinyards. Look at my photos: I got the lamb and my friend got the fish and there were both unbelievably delish! The weather was so beautiful. I felt like I could touch the clouds. I seriously did not want to leave. Sean was great! He is so engaging, interactive and gave us a very good background of Yarra Valley. Nice guy, genuine and really amazing energy! Highly recommended if you are looking for a easy, small group chill tour. Sean was great! He is so engaging, interactive and gave us a very good background of Yarra Valley. Nice guy, genuine and really amazing energy! Highly recommended if you are looking for a easy, small group chill tour. Would highly recommend the wine tasting experience with Dancing Kangaroos. Sean, our guide was extremely knowledgable about the wines in the Yarra Valley area. The tour included visits to 3 different wineries, a dairy where we got to try some local cheese, and a chocolaterie and ice creamery. The music on the bus was great too. Would highly recommend the wine tasting experience with Dancing Kangaroos. Sean, our guide was extremely knowledgable about the wines in the Yarra Valley area. The tour included visits to 3 different wineries, a dairy where we got to try some local cheese, and a chocolaterie and ice creamery. The music on the bus was great too. It is a worry-free tour, dont need to self drive, you just hop on to the tour with Sean (dancing kangaroo tour), and go with the flow! Sean is really friendly, funny and approachable. He is very knowledgeable as well! we visited 3 wineries, 1 brewery and 1 ice-cream chocolaterie place. each place we spent about 30 -40 mins... lunch we spent a little longer.. after about 1 hour's drive to yarra valley, the places we visited are pretty near to one another... love the music playlist on the bus too!! It is a worry-free tour, dont need to self drive, you just hop on to the tour with Sean (dancing kangaroo tour), and go with the flow! Sean is really friendly, funny and approachable. He is very knowledgeable as well! we visited 3 wineries, 1 brewery and 1 ice-cream chocolaterie place. each place we spent about 30 -40 mins... lunch we spent a little longer.. after about 1 hour's drive to yarra valley, the places we visited are pretty near to one another... love the music playlist on the bus too!! Best tour I've had in my entire trip to Australia! Best tour I've had in my entire trip to Australia! Sean is such a nice tour guide. He made everyone feel involved and happy. There is nothing to complain about. The wineries and places we visited were interesting. Sean is such a nice tour guide. He made everyone feel involved and happy. There is nothing to complain about. The wineries and places we visited were interesting. Went to three different wineyard for tasting. A wide variety of wines, sparkling, dessert, rose, white/red wine. Plus chocolatarie and brewery visit. Nice experience. Nice lunch provided, but the pizza is just too big for one person. Options kinda limited though. Went to three different wineyard for tasting. A wide variety of wines, sparkling, dessert, rose, white/red wine. Plus chocolatarie and brewery visit. Nice experience. Nice lunch provided, but the pizza is just too big for one person. Options kinda limited though.